A new, tenth anniversary edition of the leadership classic that was hailed as one of the 100 Best Business Books of All Time. 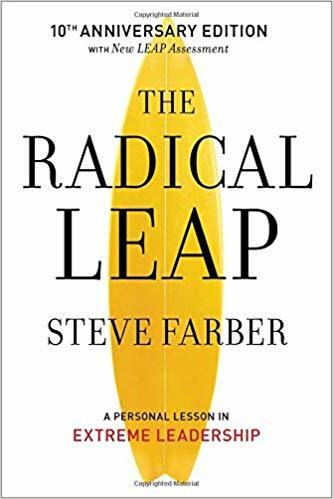 In his exciting and timeless business parable, The Radical Leap, Steve Farber explores an entirely new leadership model, one in which leaders aren’t afraid to take risks, make mistakes in front of employees, or actively solicit employee feedback. His book dispenses with the typical, tired notions of what it means to be a leader. Geared to people at any level who aspire to change things for the better, The Radical Leap is creating legions of Extreme Leaders in business, education, non-profits and beyond.